Free grocery coupons...sometimes my bride totally floors me. She came home and said she had got a great deat on some sandwich meat at Safeway. OK, I said "how great was the deal?" 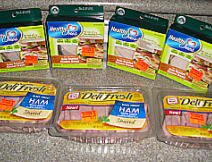 She said, "They paid me $0.87 to buy 4 packages of low fat chicken breast meat". That is my favorite sandwich meat. She will peruse the meat counter on shopping day. When the meat gets close to expiration date they cut the price drastically to avoid throwing the meat out. This meat normally sells for $2.99 for 5 oz, was expiring in 3 days, and was marked down to $0.79. She also had a $0.75 cent coupon...which Safeway rounded up to a dollar.This meant she was buying each package for a $0.21 credit. She also bought 3 packages of ham marked down to $0.99. 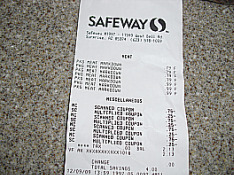 Total bill for 7 packages of sandwich meat, $2.13. She felt she had to buy the ham to get the $0.87 markdown. Even the Queen of Goodwill knows they won't knowingly pay you to shop, but that is eaxactly what they did on the chicken breast. Worried about the expiration date? That is what the freezer is for. We eat a lot of sandwiches for lunch...we will spend more on the bread to make the sandwich than we will on the meat. Free food with free grocery coupons, can you believe it? Just another example of how coupons are a way of life at our house, they should be at yours as well. 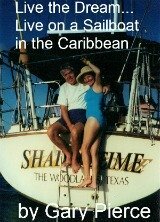 It has become a game and source of entertainment for us...it can be for you as well.